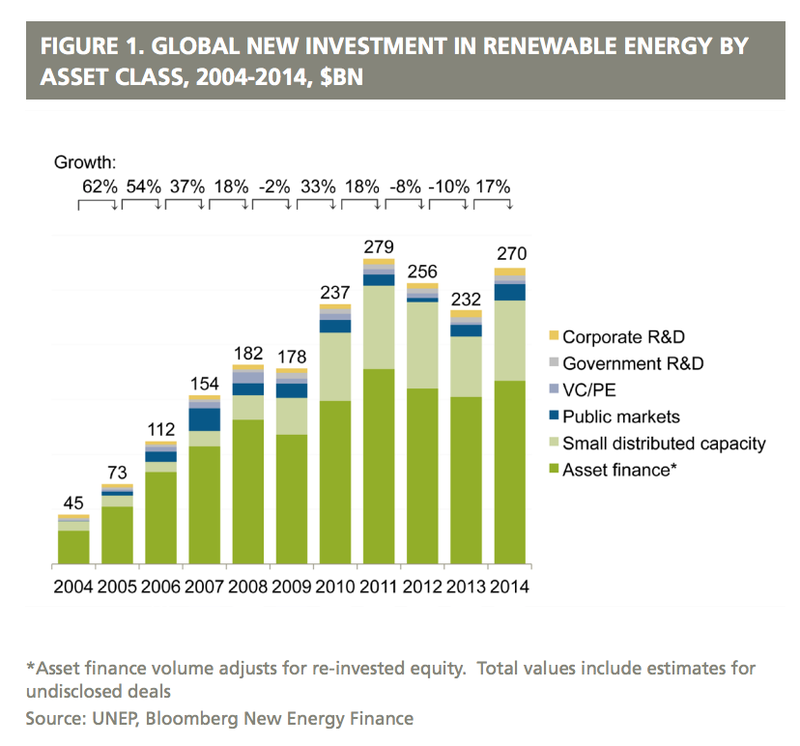 ・・・Global investments in renewable energy rebounded strongly last year, registering a solid 17% increase after two years of declines and brushing aside the challenge from sharply lower crude oil prices. ・・・Major expansion of solar installations in China and Japan and record investments in offshore wind projects in Europe helped propel global 2014 investments to $270 billion, a 17% surge from the 2013 figure of $232 billion. ・・・The 103GW of capacity added by renewables last year equals the energy generating capacity of all 158 nuclear power plant reactors in the USA.